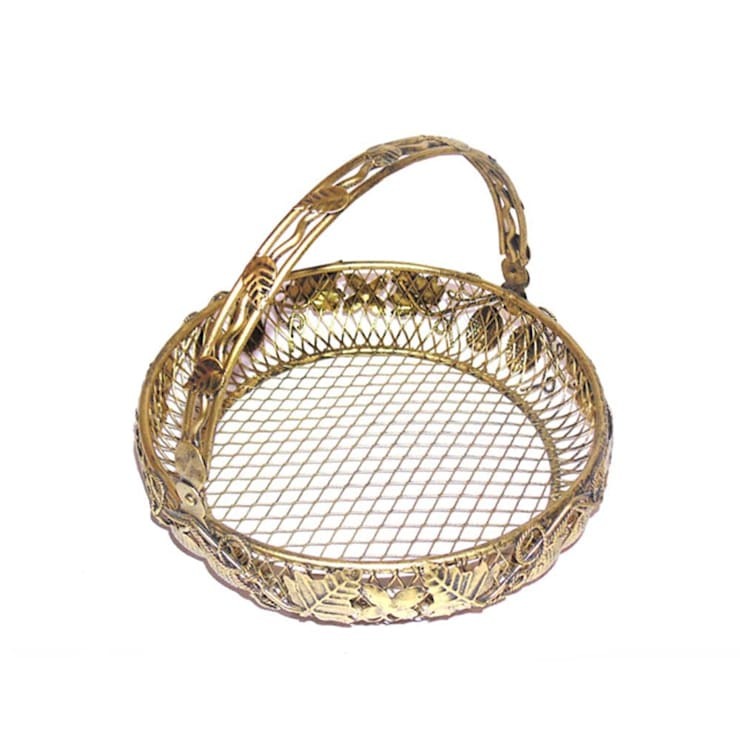 round shape iron framework wire basket is ideal for keeping fruits or vegetables around the kitchen, also useful in buffet tables and sideboards decoration as well. With its antique finish and aesthetic design, this wired basket is complete with full band handle across the top. It measures approx 9 x 9 x 3’ inch. round shape iron framework wire basket is ideal for keeping fruits or vegetables around the kitchen, also useful in buffet tables and sideboards decoration as well. With its antique finish and aesthetic design, this wired basket is complete with full band handle across the top. It measures approx 9" x 9" x 3" inch.